The trouble with Deagle is his inability to potty in the right place. Ever since he was a pup, he’s always pees on the carpet. What makes it worse is that it’s not an accident. I let him out when potty time comes around, he goes outside and barks at the neighbors for about thirty minutes, but never stops to pee or poop. 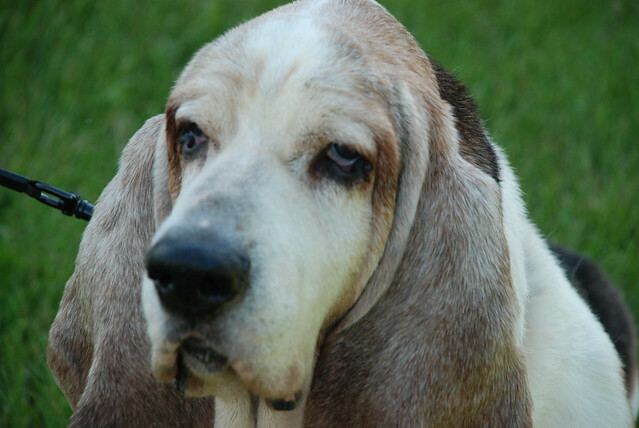 When I call him back in, he comes a romping, his floppy ears and droopy eyes making him so adorable. Then, all that cuteness disappears when he sniffs, circles, and squats to mess the carpet. I guess it’s partly my fault. When he was a pup, I used newspaper for his potty area. He was used to going on the floor inside the house. Unfortunately, I wasn’t able to break him of the habit, and now my carpet pays dearly for it. I scold him when he does it, but he just finds another place in the house if he can’t go then and there. It doesn’t seem to do much good trying to stop him from peeing inside. At least when he poops, it’s usually on the kitchen floor. I’ve just about bought stock in some of the odor-eater companies, purchasing a can at least once a week. I figured maybe the smell was attracting him to do this, but it seemed more a habit than a stimulus. I got to looking o line for some new solutions to my problem, and found several recommendations for indoor litter boxes for dogs. I figured since the old hound was going to keep going inside, I might as well let him do it where it won’t damage the carpet or make a mess. When I first got it, Deagle didn’t know what to make of it. He sniffed it and barked at it for a few minutes before hopping on and marking it. I crossed my fingers and hoped it would work. After a few mess-free days, I was actually quite pleased. Deagle seemed to actually like the device, it may have been some kind of incentive or maybe even the texture of the grass, but whatever it was worked, and quite frankly, that’s all that matters to me.